In the past, I got a lot of my history lessons from either movies, novels (fiction) or musicals. You'd be amazed at how much you can learn about history in a 1940s musical. Sure, I learned history in school, but I never really retained anything learned from text books. It wasn't until I started traveling that I really understood the history of our world and developed a passion for it. 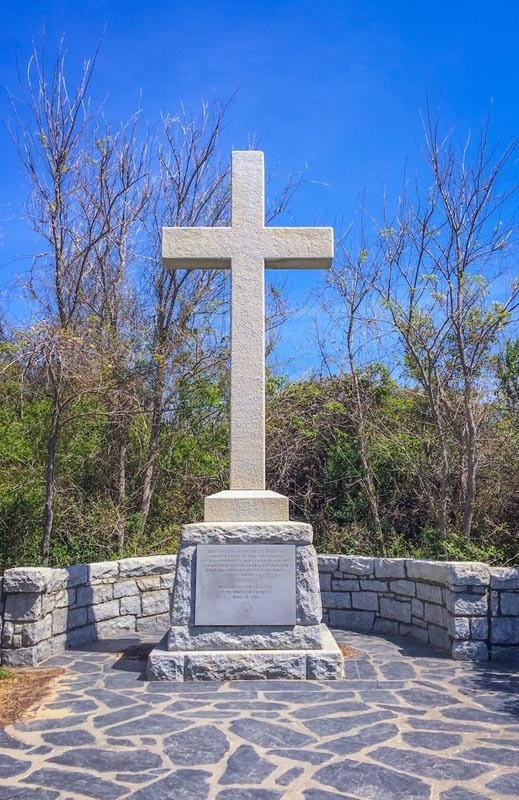 When you visit a famous battlefield or walk through historic sites from another era, you actually begin to understand what happened and want to learn more. That's what happened when we visited Virginia Beach. I didn't think there was much history there, but boy was I wrong. If Cole Porter referenced Plymouth Rock, they must have been the first, right? Wrong. While discovering Virginia Beach history, I learned that the first actual European settlement was just upriver in Jamestown. 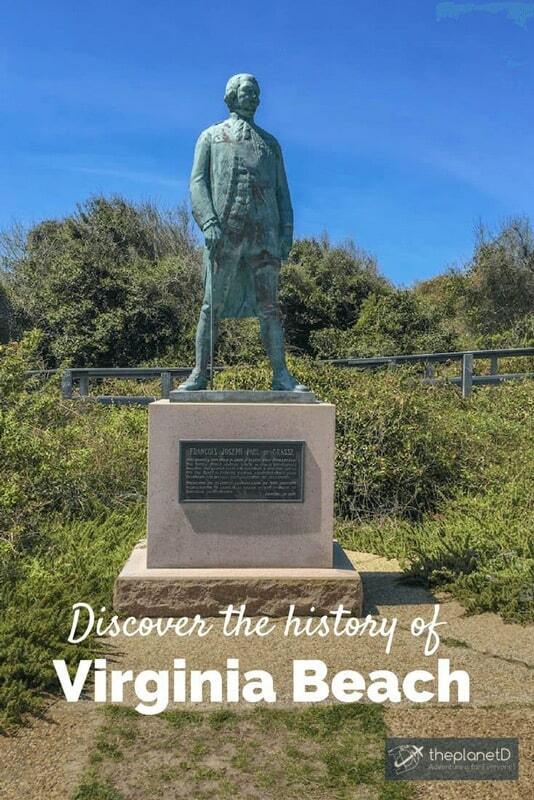 The very first landing was Virginia Beach itself and it is here that you must spend a day or two exploring First Landing State Park. 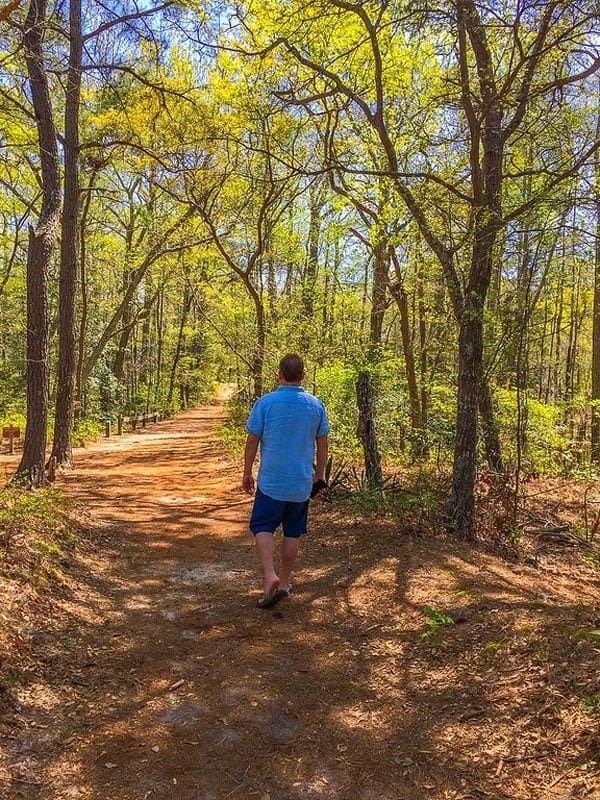 First Landing is a superb outdoor destination offering visitors 1.25 miles of sandy beach and 19 miles of hiking and biking trails. 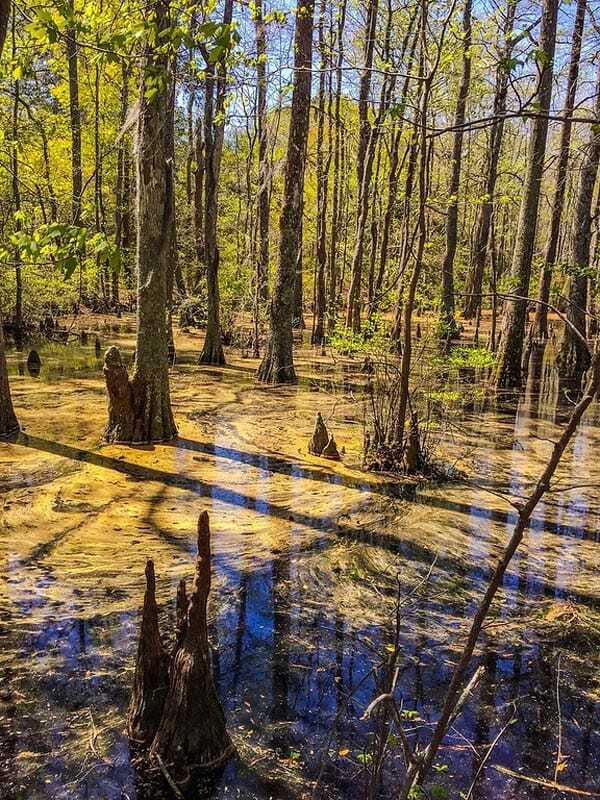 It's a beautiful beach filled with sand dunes and the trails wind through a picturesque marshland, cypress swamp and freshwater ponds surrounded by forest. 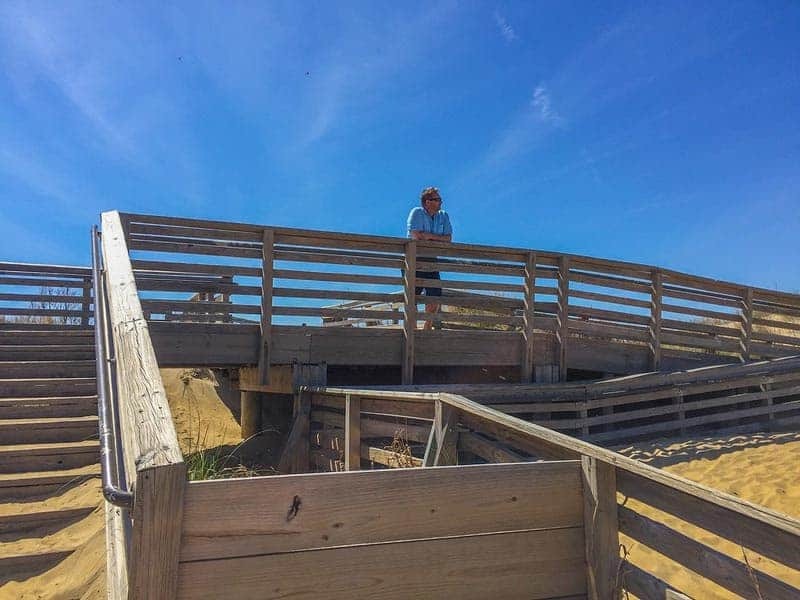 There are free shuttles from the Virginia Beach oceanfront area for visitors to hop on and spend a day at the beach, or you can camp right inside the park to really enjoy all there is to offer. What I was surprised about was the excellent museum facilities on site. It was here that I learned, that I had it all wrong. Plymouth Rock didn't happen until 1620. 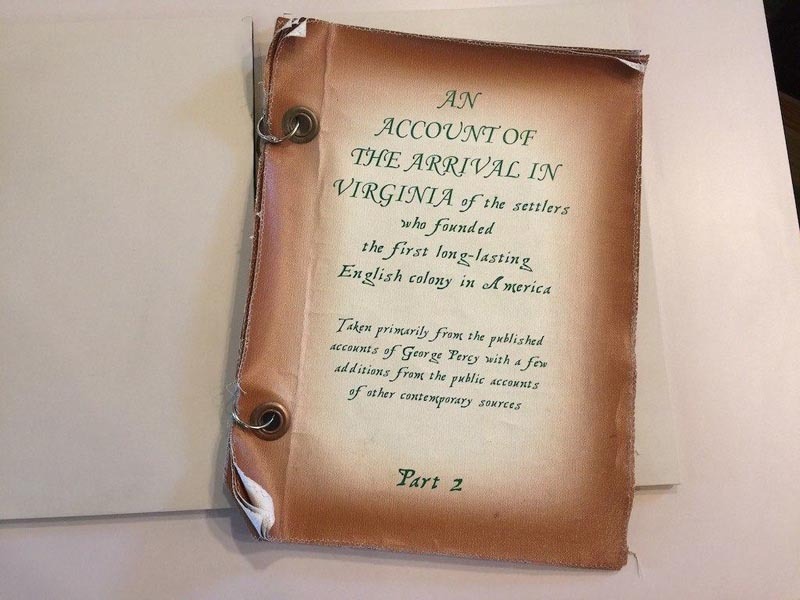 It was in 1606 that the Virginia Company sent 140 Englishmen to the new world and the first permanent English settlement in North America was established on the shores of Virginia. When we went deeper into the park to explore the trails, there was another interpretive museum explaining the history of the flora and fauna. 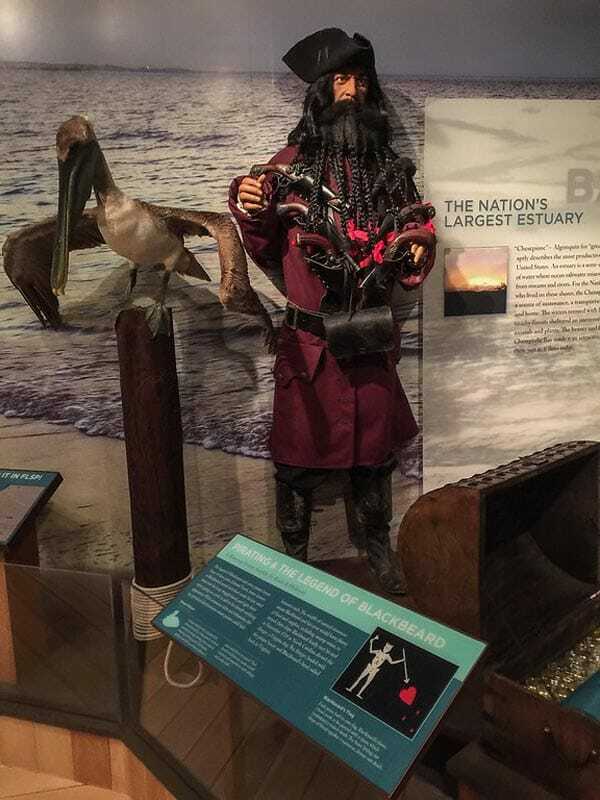 The kids will get a kick out of this exhibition because it's here that they share the legend of the pirate Black Beard and how he frequented these waters. 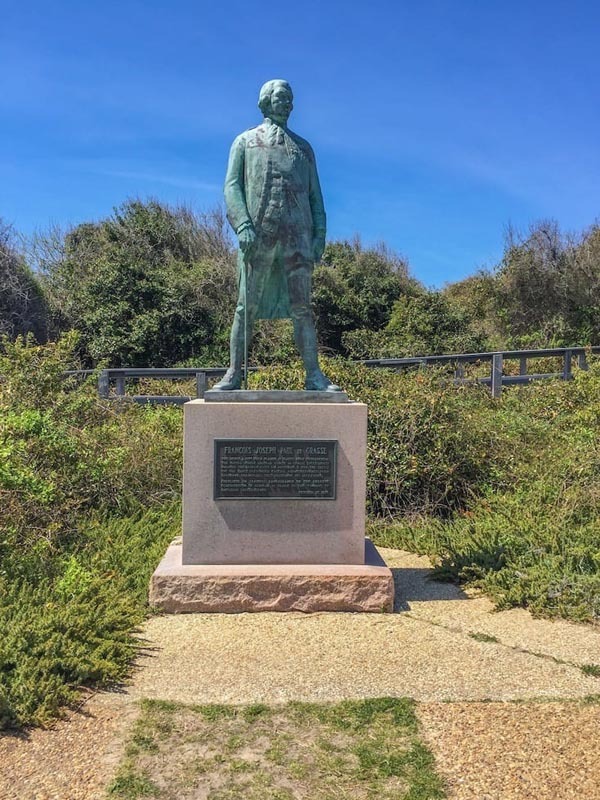 We could have spent much more time at the park and when we go on another road trip through the States, you can be sure we'll be setting up camp at First Landing State Park. But the history doesn't stop there! 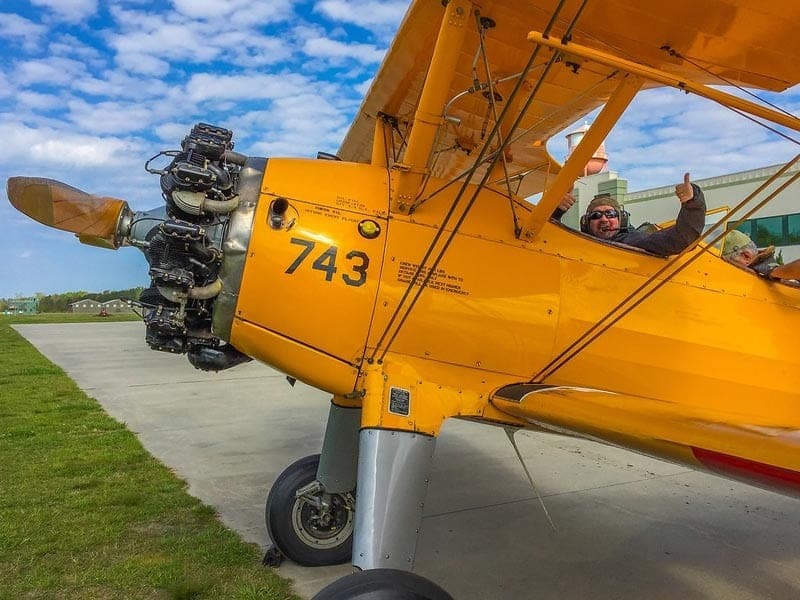 The Military Aviation Museum is a must stop for history buffs and adventure addicts alike! 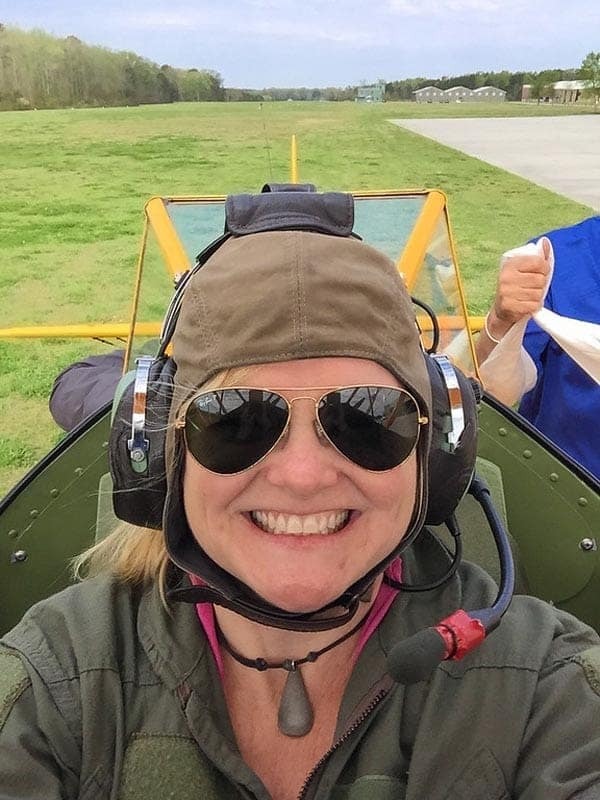 Here you can peruse one of the largest collections of flying World War II airplanes and you can even take a thrilling flight in an actual biplane from the era. Aircraft from the first and second World Wars through the Korean War era are on display here. But what makes this museum unique is that every plane still flies! Our pilot and guide Boom Powell has actually flown many of the planes we saw including a replica of one of the very first types of planes ever flown! I didn't realize it, but Virginia Beach has a huge military presence. Fighter jets fly overhead daily practicing maneuvers while massive ships are docked in port. There are seven military bases located in Virginia Beach so it is only fitting that such a museum exists here. Another unique aspect of this museum is how an actual World War II aviation tower was moved brick by brick from England to the airfield. In 1940, war was imminent and at the time, airfields were being built cheaply and quickly. There were 200+ airfields built during WWII and this tower comes directly from one of them. Museum director Mike Potter and I hopped in a sidecar motorcycle to watch Dave's flight from the control tower. It felt as if we had stepped back in time. It is close to being completed and every single detail is being replicated to perfection. 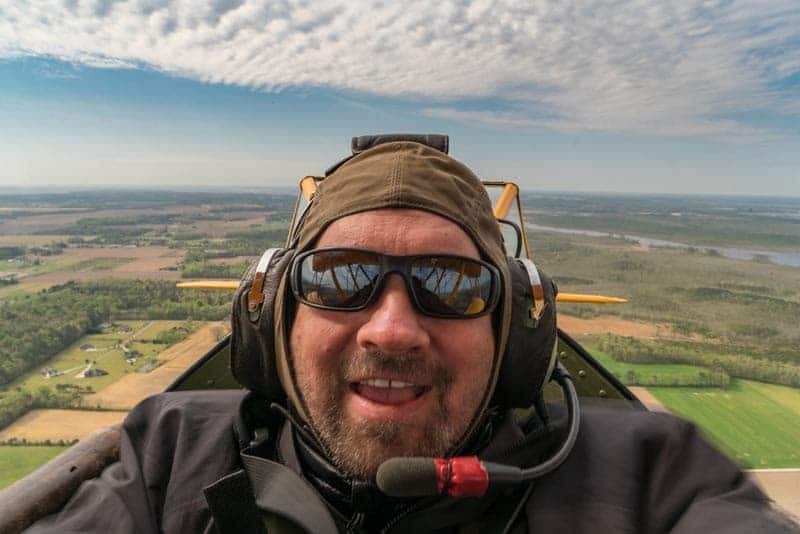 As Mike states on the museum's website “I was standing on the roof watching actual 75-year-old World War II planes taxi around, take off and land,” he said. “It doesn’t get any cooler than that.” I completely agree. The flight is a thrill with banks and turns and dips and dives. It all takes place in an actual war plane where passengers don leather helmets and flights suits as they sit in the open cockpit. 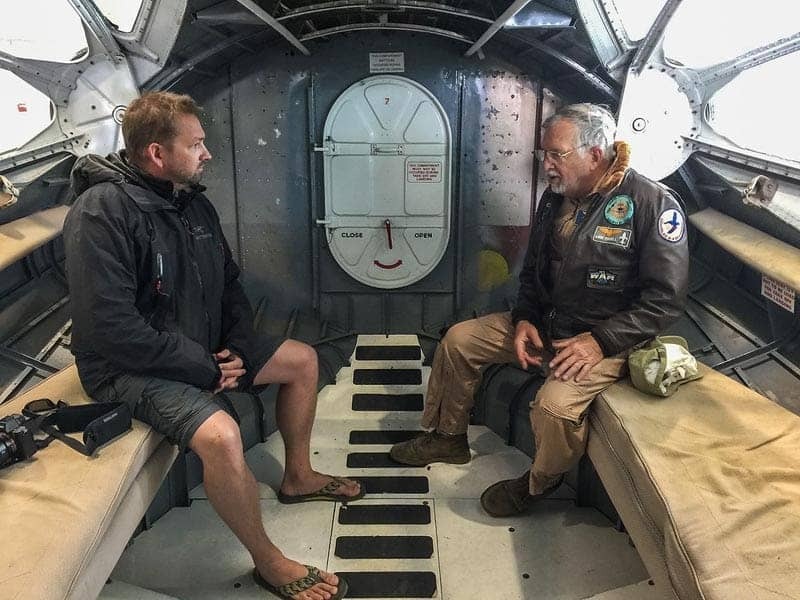 You can only imagine what it must have been like for fighter pilots in WWII. After our flight, we were taken on an escorted tour through the museum and five massive hangers. We only had the morning at the Military Aviation Museum, but we could have spent all day there. What I loved about this museum is how out of the dozens of aircraft on display, they are from all around the world including German fighters. 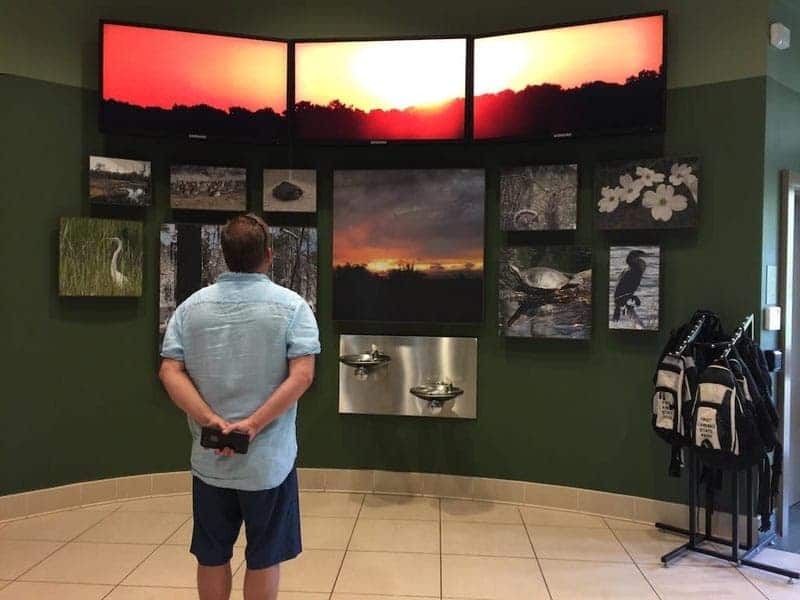 This museum shows both sides of the war. 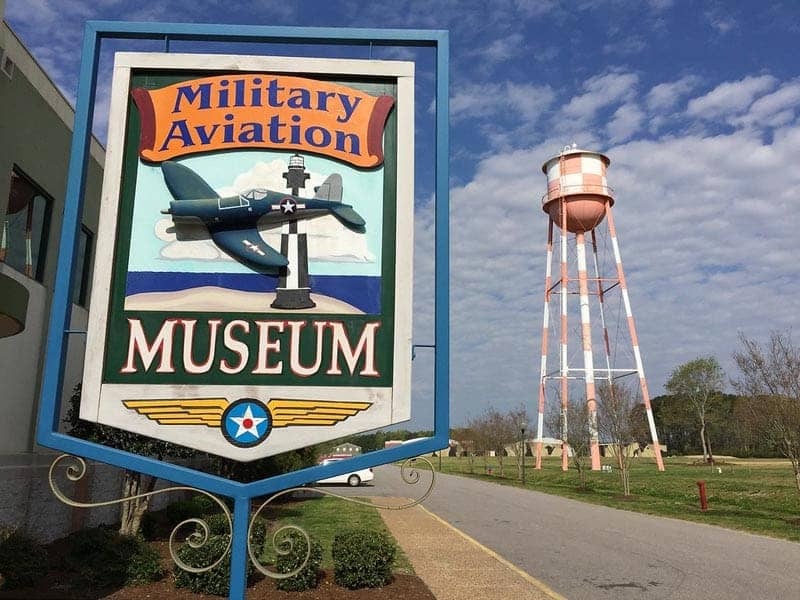 Another interesting museum is the Military Aviation Museum. The staff is passionate and loves talking about planes and history and there is a lot to keep people occupied. 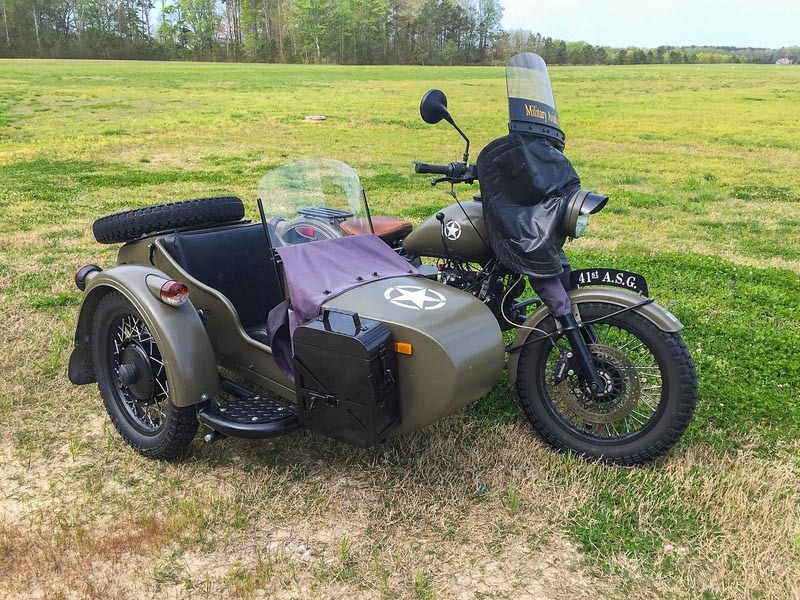 It's not just airplanes on display, there are tanks, jeeps, motorcycles and even an old train. It's a massive complex that needs time to explore so make a day of it. 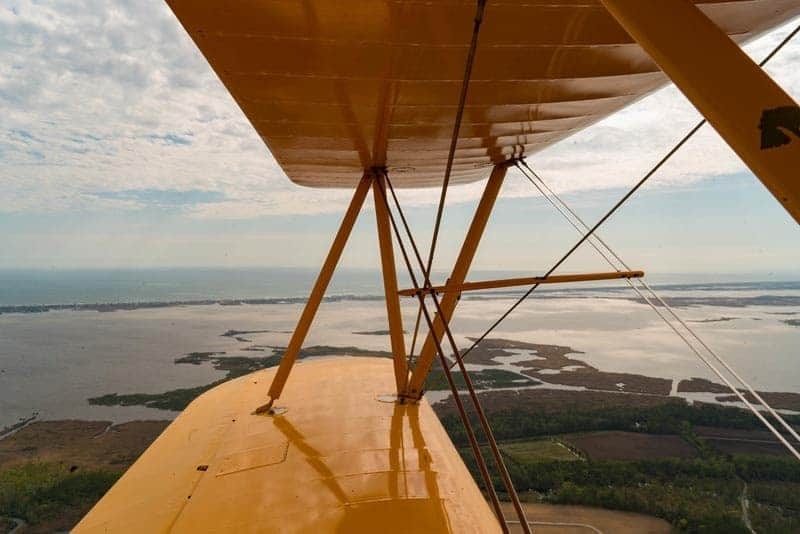 Head out to the Military Aviation Museum, stop at The Bee & Biscuit for lunch and learn a little more about the history that helped to shape a nation. Visit the Aviation Military Aviation Museum website for details on flights, hours and air shows. 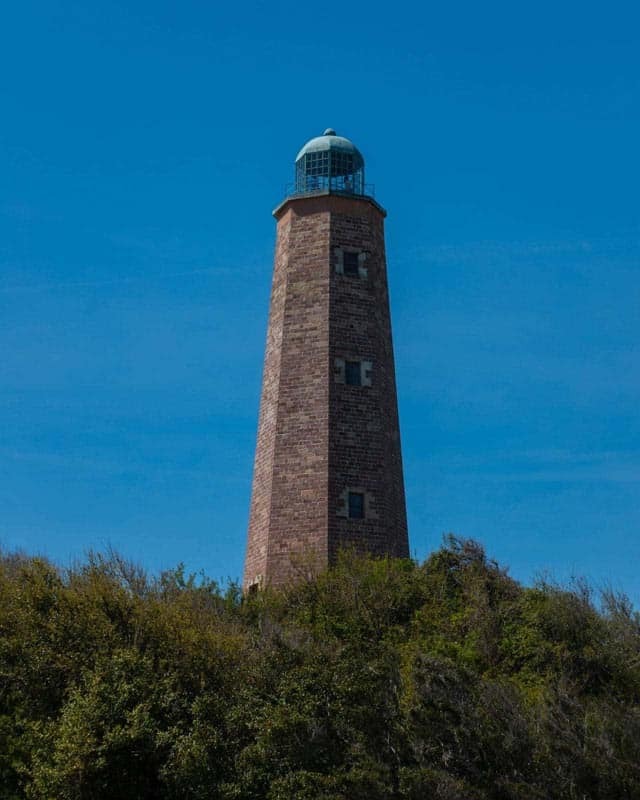 If you have room for a little more historical knowledge a trip to the Cape Henry Lighthouse is a good stop. It's located at the mouth of Chesapeake Bay and get this, you have to enter an actual working military base. 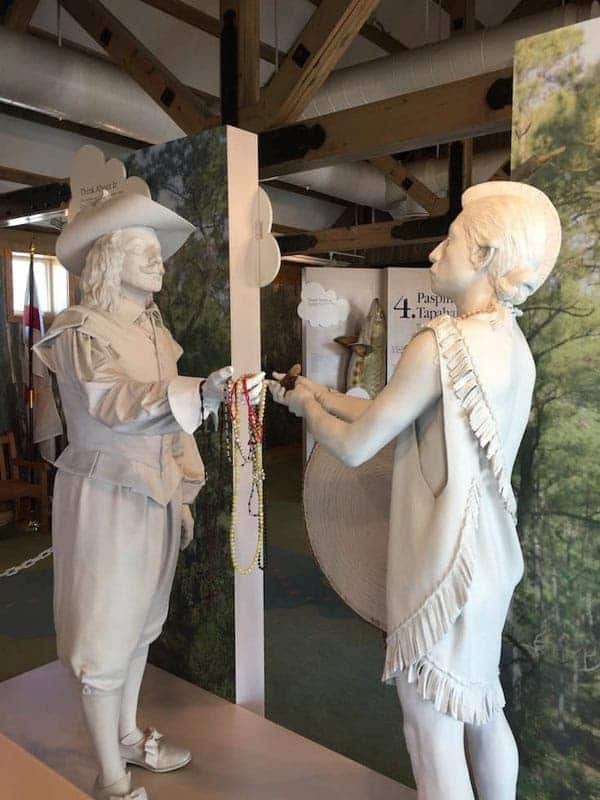 What is historic about this site? It is the first lighthouse authorized, completed and lighted by George Washington. 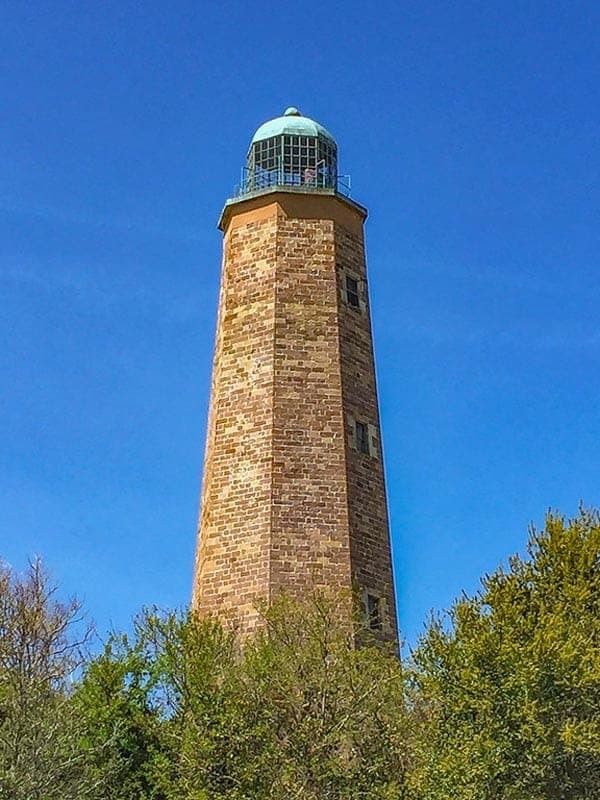 Built in 1792, it has been a strategic location for centuries guiding ships in and out of Chesapeake Bay. A second lighthouse was built in 1881 because of concerns over the original lighthouse's stability. Clearly the stability was fine, because today both lighthouses are still standing and you can even walk up to the top of the original for a bird's-eye view of the base and the bay! We expected to have a good beach holiday, but we didn't realize there was so much history, adventure and culture to be had. 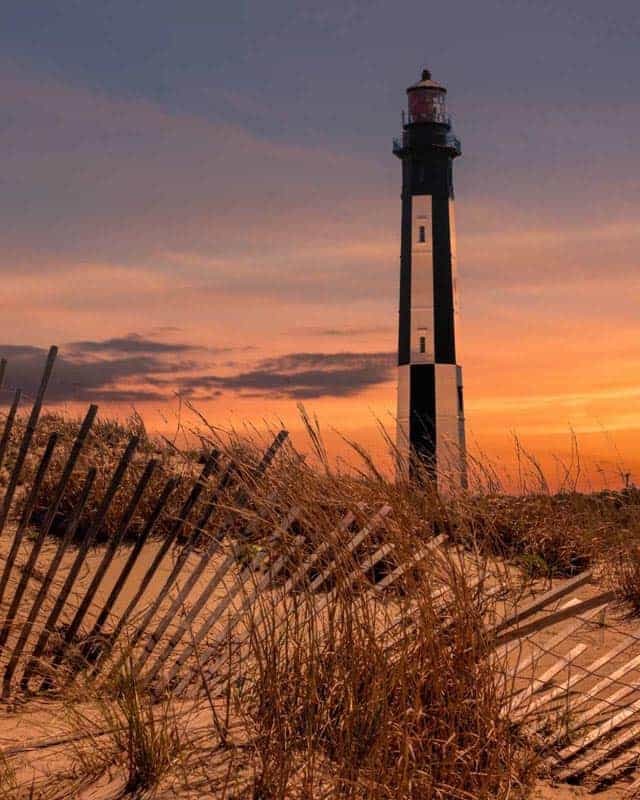 Between the rising food scene, the adventure activities, and a tour through the past, VA Beach is the perfect all-around vacation destination. It has a little something for everyone. Whether you're a fan of history or not, a trip to these three spots will pique your interest and make you want to find out more! 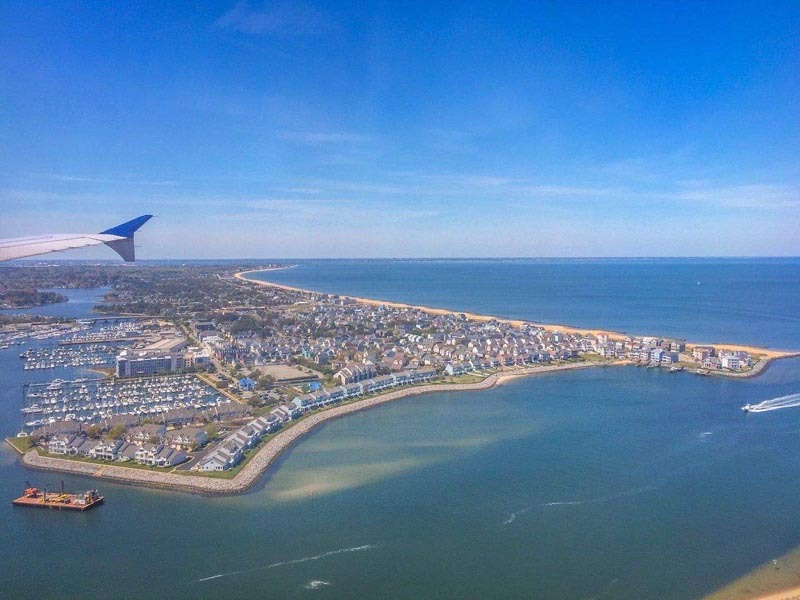 10 Responses to "A Historical Look at Virginia Beach"
Virginia Beach is simply amazing, though we always tend to not notice the history of the places we visit. Thanks for sharing. Loved it! Wow! what a lovely description of the history. The pictures are simply amazing. Lovely it. Thanks for sharing. Amazing Photos & Amazing History. Thanks! They really do have an amazing history. We are heading out to Virginia Beach next month and would like to find a not too expensive campground that is well situated. There was a camp ground at First Landing State Park which has shuttles to the ocean front area and First Landing is near Chesepeake Bay. That looked like a great campground to us. Amazing place to make an memorable moments. Thanks for description and photos are awesome. Love this brief through history! Love the photos! Amazing experience!